One word to describe Canada's year in 2017: Champions! The year saw a handful of Canadian teams and athletes achieve their sports' highest achievement by going out on top. To cap off what was the most impressive season by any Canadian pro sports franchise, Toronto FC avenged their previous season's loss and took out the Seattle Sounders 2-0 to win their first ever MLS Cup. The win is historic as TFC becomes the first non-American franchise to bring the cup to Canada. The Reds dominated the season winning their first Supporters' Shield with a record-setting points record and achieved a remarkable domestic treble with three trophies in a single calendar year. We have a budding dynasty in our hands, folks. R.J. Barrett and the boys earned Canada more history by winning the nation's first under-19 men's basketball World Cup title. This is Canada's first ever medal after ten appearances in the biannual tournament and it's a golden one! 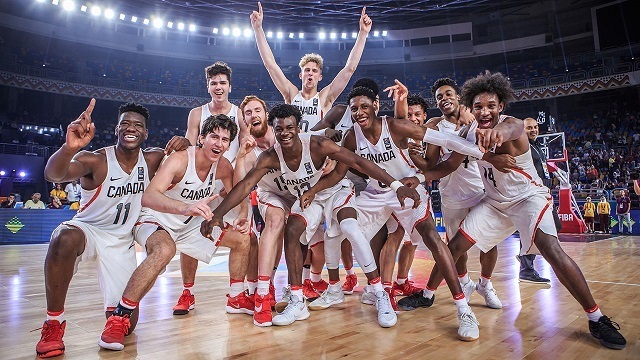 Barrett, the consensus top basketball prospect for the Class of 2019, was named the tournament MVP after averaging 21.6 points per game including 38 in Canada's upset over the heavily-favoured Americans in the semifinals. Barrett now heads to Duke where he will undoubtedly be a superstar. The Senators had an entire nation ready to believe. Coming into the season as underdogs, Ottawa made the playoffs as the lowest-scoring team with a -2 goal differential. With nothing to lose, the Sens pushed themselves to the Eastern Conference Finals where they battled the defending Stanley Cup champions to a double overtime game 7. Ottawa came within several attempts of scoring the goal that would've lifted them to their second Stanley Cup Finals appearance but five minutes into the second overtime and Chris Kunitz clinched it for the Penguins. Pittsburgh won the battle but it was the Sens who earned everyone's admiration. It was the biggest upset in Rogers Cup history and it was done by no other than the homegrown Denis Shapovalov himself. The Canadian is of Russian-Israeli heritage and was ranked 143rd in the world coming into his matchup with world no. 2 Nadal. The 18-year-old rallied from losing the first set to oust Nadal in a thrilling tiebreaker in the third set to the tune of over 10,000 Montrealers cheering. Shapovalov was named the 2017 Tennis Canada male player and is now ranked 51st in the world. From chumps to champs: the Toronto Argonauts completed one of the CFL's most impressive turnarounds by going from the league's worst team in 2016 to the 2017 Grey Cup champions. The Argonauts only had a 9-9 record versus the Stampeders' league-best 13-4-1 record. It was a classic example of David versus Goliath as the Argos opened with the worst odds to win the cup while the Stamps had the best odds. The Stamps were also 7-point favourites to win and led for most of the game. But the Double Blue capitalized on late turnovers to capture their 17th Grey Cup. 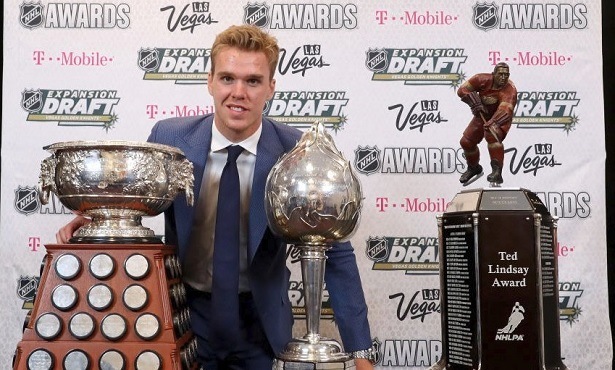 At just 20-years-old, McDavid completed the astounding NHL Awards hat-trick by winning the Hart Memorial Trophy (most valuable player), Ted Lindsay Award (most outstanding player), and Art Ross Trophy (most points). McDavid scored 100 points in total and led the Oilers to their best record in 30 years and their first playoffs berth in 11. McDavid captained the Oilers to a +35 goal differential and the league-best 33-point turnaround from the 2015-16 season. They made it to the Western semis before losing a hard-fought battle against Anaheim. Despite their recent struggles, McDavid remains Canada's premier hockey player. It was short but sweet and almost like a dream. Former UFC welterweight champion and all-time great St-Pierre returned to headline the UFC's return to Madison Square Garden where he choked unconscious Michael Bisping to become the fourth two-division champion in UFC history. The French-Canadian ended a four-year-long hiatus and fought at a different weight class for the first time ever. He would almost immediately relinquish the title due to personal health concerns but he reminded everyone once again who the GOAT (greatest of all-time) of MMA truly is. These moments will forever be remembered by Canadian fans and those who bet and won will remember them even more. Canadians turn to online sportsbooks to get the best lines on almost anything sport-related. If you can watch it, you can likely bet on it.